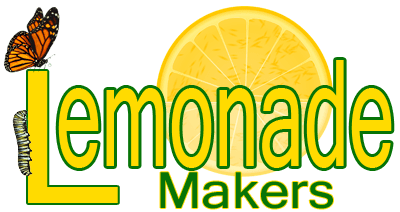 Want to get regular inspiration from LemonadeMakers? Check out our 2018 screensaver! Our 2018 LemonadeMakers screensaver is a compilation of the 12 best images YOU selected from our “Secret To Living An Unstoppable Life” series. YOU voted for them from our stock of thought and soul provoking quotes, and inspirational messages! Inspirational messages are a way that we self coach ourselves. They affect us at a primal level. They help us pick ourselves back up, and get back on track. Light tomorrow with today – Elizabeth Barrett Browning. That is why we wanted to create a screensaver of your favorite inspirational messages from our “Secret To Living An Unstoppable Life” series. These messages can be the boost that gets you started on Monday, pulls you through the Wednesday “Hump Day”, and helps you celebrate TGIF. Not only will you be constantly in touch with the important things in life, but our screensaver is fat-free, very low in carbs, and will do the dishes. (The last part isn’t true, yet. We are working on a dish-doing version 2.0 for next year’s screensaver!) – We love injecting a little humor into your life when possible, it’s what helps us get through the rough patches. Help us to support LemonadeMakers.org so that we can continue to provide even more inspiration to transform your life to meet your dreams. Grab your 2018 screensaver today!